Pro Auto Care, Inc in Tampa is ready to address every aspect of maintaining your fleet, large or small. Since 1988, we’ve proudly provided traditional fleet service combined with modern technology for lasting results. Altogether, our proven procedures will keep your fleet vehicles operating seamlessly on all roads throughout Hillsborough County and as far as your business takes you. At Pro Auto Care, Inc, our ASE-Certified technicians are well versed on all aspects of fleet service. Our broad expertise covers all passenger and commercial vehicles of any size, foreign and domestic. 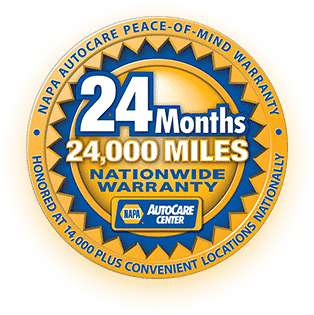 Equipped with state-of-the-art diagnostic equipment, we will accurately and efficiently identify the source of any malfunction on your Honda, Volkswagen or any other. Our fleet service pickup and delivery program is designed for your convenience. When you make an appointment with us, we will pick up the vehicle from your location, perform the work, and return it to you. We always perform efficient fleet service to minimize your downtime. Contact Pro Auto Care, Inc in Tampa to find out how we can best maintain your fleet. At Pro Auto Care, Inc in Tampa, FL, we understand the importance of proper fleet service to keep your business moving.